Kaduna State University (#KASU) 3rd combined convocation ceremony programme of events. 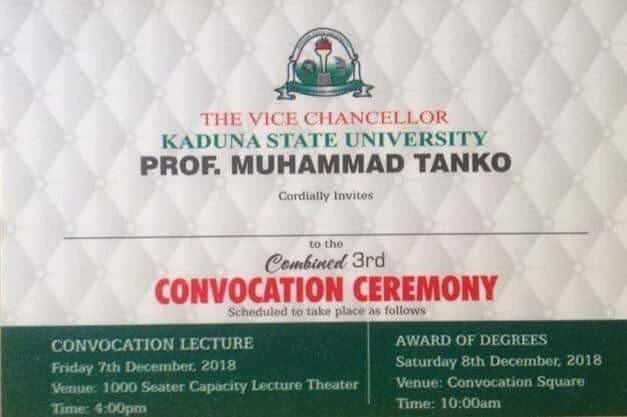 The management of the Kaduna State University (KASU) has released the programme of events for the 3rd combined convocation ceremony. KASU Convocation Ceremony Programme of Events.